The Double Down Maxx, the ultimate sandwich for chicken fans, is making its highly-anticipated comeback, through October 29, and Colonel Sanders is back in business in a new campaign from Sid Lee Paris. Following its successful limited run last year, the Double Down Maxx, the only KFC sandwich where bread is replaced with two filets of fried chicken, is tailor-made for fans who want chicken and don’t care about the rest. 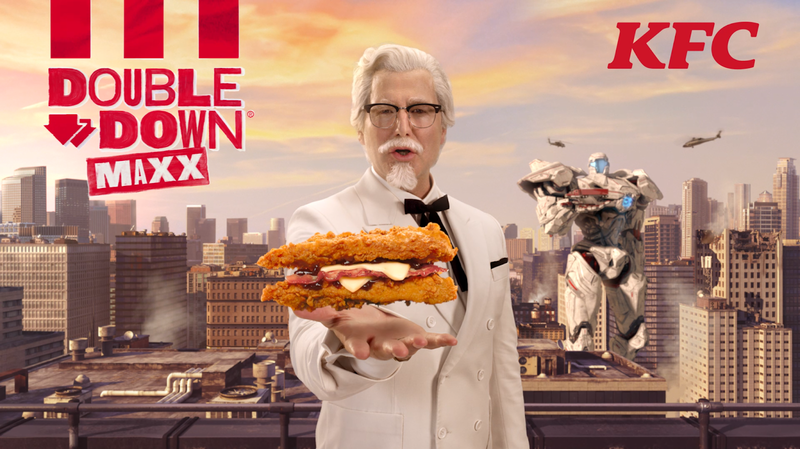 That’s the idea behind Sid Lee Paris’s new film for the sandwich and KFC aficionados.. Much like his admirers and the Double Down Maxx itself, Colonel Sanders is all about chicken, so much so that he insisted on cutting ¾ of the film to focus on the packshot.